I often think that a lot of you might roll their eyes when I start rambling about how music is pretty magical. I mean, to be fair, I think it sounds cheesy, too. something that can affect you without trying too hard. And let's be real - music does exactly that. So, to me, music is magic and I was reminded of that today, when I listened to Hozier's new single. It didn't take more than the first chord to get me super excited to get to know the track and as soon as the percussions kicked in, magic unfolded. And so, we need to talk about the track. Besides releasing a brand new track today, Hozier has also just announced the release date for this second album, "Wasteland, Baby!". The new record will be out on March 1st. 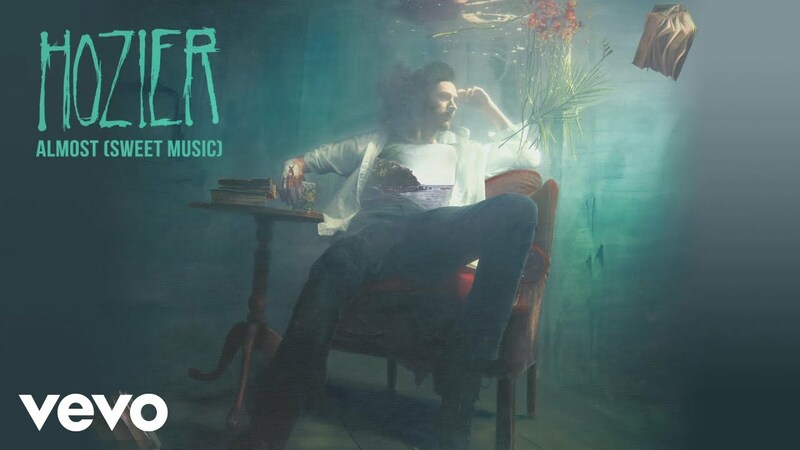 With "Almost (Sweet Music"), Hozier shares another taster of what is yet to come. 2018 saw the return of the soul powerhouse with lyrics to drool over, as he released his "Nina Cried Power" EP showcasing four songs, the title track featuring the legendary Mavis Staples. Once music fans all over the world had digested the new EP, he quickly followed up with "Movement", arguably one of his best songs to date. And now we get to hear yet another new track of the upcoming album. "Almost (Sweet Music)" holds all the key elements a Hozier fan would want it to hold, but at the same time sounds extremely refreshing and slightly surprising. Right from the first chord on, you get the feeling that you're about to listen to a very lively song. Unlike "Movement", this track has a light feeling to it. Whilst the previous single wowed us with elegance and mystery, this fine track is convincing us with a melody and rhythm so brilliant, was it a photograph you'd wanna frame it. The combination of the instruments creates a, dare I say reggae-esque, atmosphere. With a voice like Hozier's, an artist could get away with lazy songwriting - but that's one thing you'll search for without success when it comes to Hozier's writing. Not only do his lyrics fall under the category of poetry, his instrumentals are crafted so carefully, allowing every element to play an important role. With "Almost (Sweet Music)" we get a lot of the classic Hozier; the percussions, the clapping. Yet something about the track sounds new - and we cannot wait to hear more of it on the album.